If you have PCOS, you know how confusing it can be to know what to eat! Not only is the internet is loaded with conflicting information, but who has time to plan meals and find recipes? My patients with PCOS always ask “what should I eat”? 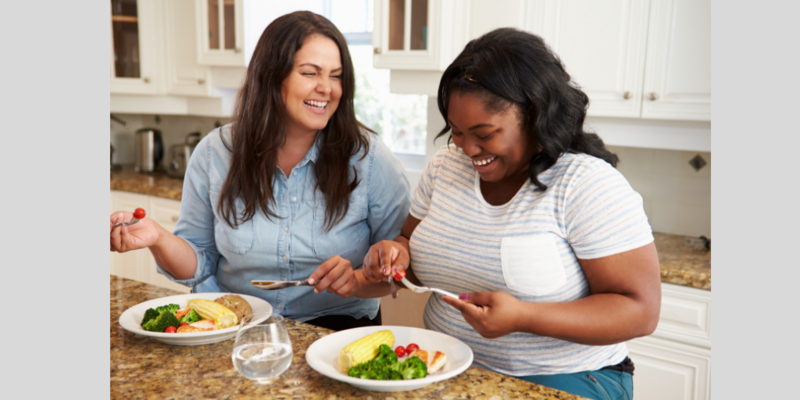 While there no one-size-fits-all diet for women with PCOS, there are general guidelines that will decrease symptoms and health risks. So I decided to put together some resources to help clear the confusion on what to eat as well as take the stress out of meal planning. 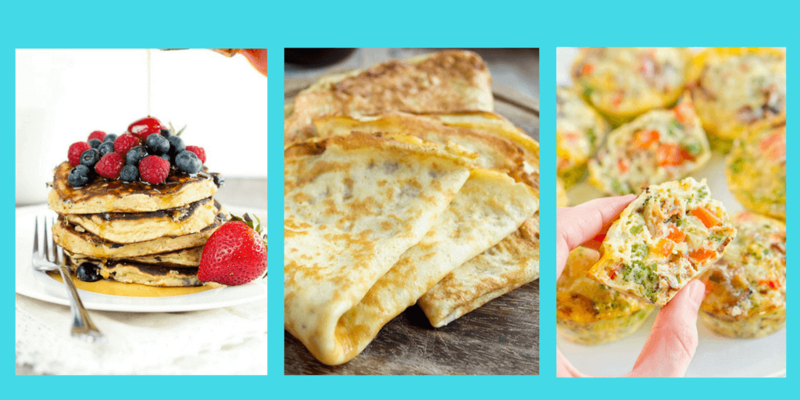 Read on to get access to my FREE 4 day PCOS Meal Plans and Recipes Guide along with a Bonus Guide on 30 Nutrition Tips for PCOS. If you have already subscribed to my PCOS blog, you’ll get a link with the FREE downloads in my email to you. If you’re not a subscriber, sign up HERE to get the goodies! A healthy diet is the first step in treating your PCOS. But it can be confusing to know what to eat. 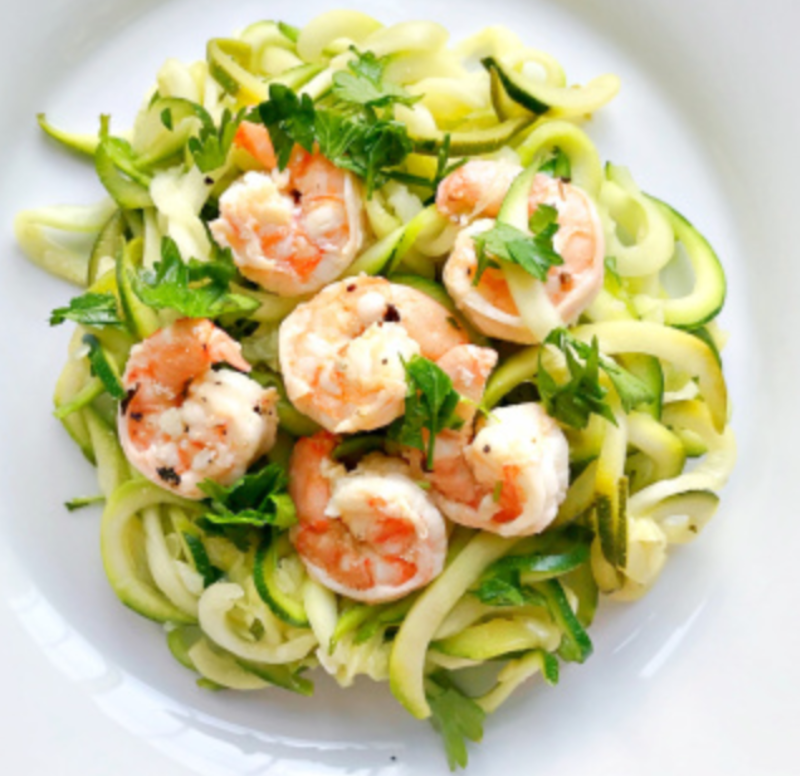 You may be focusing on cutting carbs drastically or omitting gluten or dairy or even going keto. While this may work for some people, it doesn’t mean you have to. When helping my clients with PCOS plan meals, I like to focus more on what they SHOULD include in their diet more that what they should omit. Certain foods can help heal your PCOS by lowering insulin levels, decreasing inflammation, improving gut health, promoting a healthy weight, and decreasing risk of diabetes and heart disease. increased risk of heart disease, and carb cravings. Add protein (plant & animal) to meals to stay full longer & aid in wt loss. Your body best utilizes protein when it’s spaced out into 3 meals. In addition, if you are on a lower calorie diet in attempts of losing weight, your body actually needs more protein! Add fat to meals to stay full longer & slow rise of blood sugar. Select heart healthy fats such as extra virgin olive oil, nuts/seeds and nut butters, olives, and avocado. Fill up on fiber. Fiber helps prevent blood sugar and insulin spikes, lowers cholesterol, helps prevent constipation that often occurs with low carb diets, lowers risk of some cancers and feeds the “good” bacteria in the gut (thereby keeping your gut microbiome healthy). You can add fiber with veggies, flax or chia seeds, nuts, whole grains, legumes, and fruits. Increase anti-inflammatory foods including fatty fish, dark green leafy greens, orange vegetables, garlic, tea, berries, shitake mushrooms, ginger, turmeric, nuts, EVOO, beans. Eat for gut health (pre/probiotic rich foods). See my BONUS guide for the full list. What’s in the Free PCOS Meal Plans Guide? 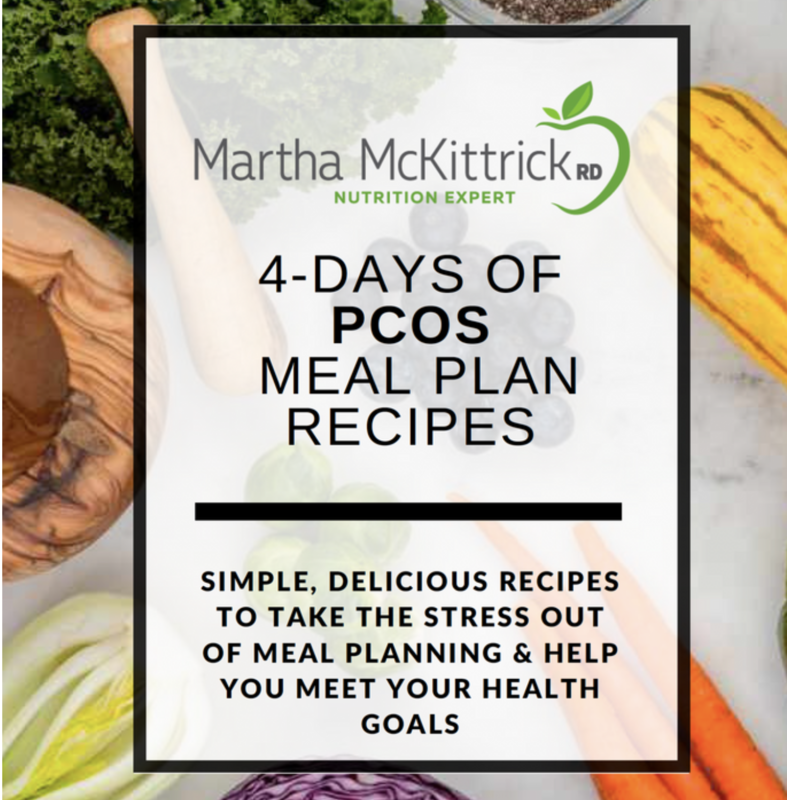 I hand-picked the meal plans and recipes included in this 4 day guide to align with my nutrition recommendations for PCOS. The recipes are rich in anti-inflammatory foods, vegetables, and fiber. Calories: 1300-1500 calories. Most of my patients with PCOS follow a range of 1200-1700 calories – so I picked an average. You may need to adjust portions and add/omit snacks if you want to decrease or increase the calories. I don’t recommend going below 1200 calories for most women … unless you are doing some kind of intermittent fasting 2 days a week. Carbs. There is no one recommendation for how many carbs you should eat a day. 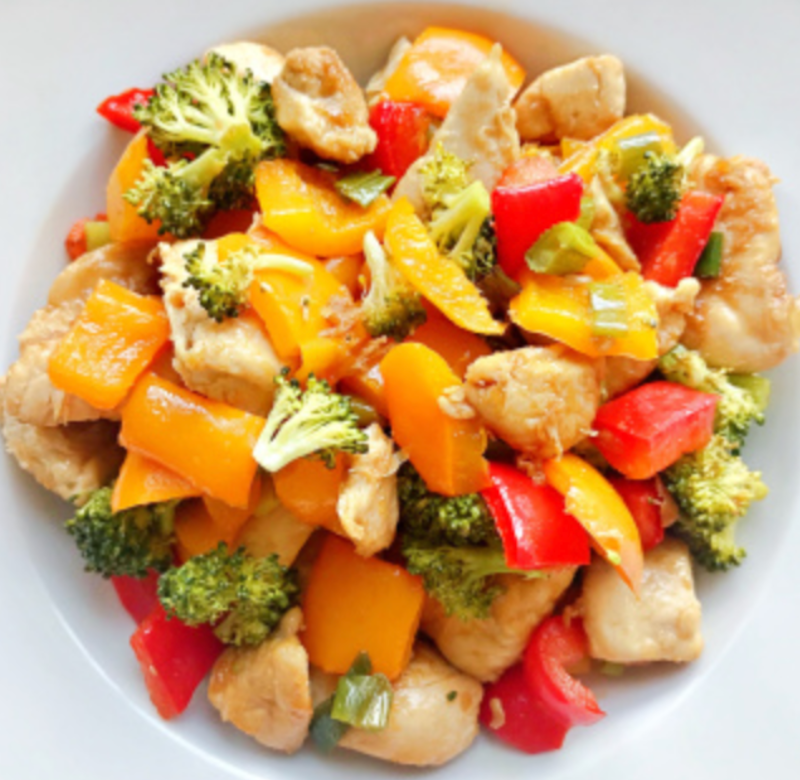 However I choose to create meal plans that contained 30-40% of calories from low glycemic carbs (or a max of 40 grams per meal and 15-20 grams per snack). Curious to know how many carbs a day might be good for YOU? Read my blog post for more details: How Many Carbs Should You Eat a Day with PCOS? Veggies: I’ve included at least 3 servings a day of vegetables a day. A good rule of thumb is to make at least ½ your plate vegetables at lunch and dinner (and breakfast if you can). I included veggies into every lunch and dinner as well as some breakfasts and snacks. Fiber: Most of my plans have at least 25 grams of fiber a day. A plant-based day. I realize some women with PCOS choose to follow plant-based diets, so you’ll get one day that is plant-based. If this isn’t for you, feel free to add some chicken/fish/meat to the meal! Full nutritional breakdown of all the meals and snacks for those you who are interested. The plans are gluten and dairy free. I’m not opposed to gluten and dairy for PCOS – unless they worsen your symptoms. However I choose to keep the plans dairy and gluten free as many women choose to eat this way. You can always substitute in a gluten containing grain or a yogurt if you like! 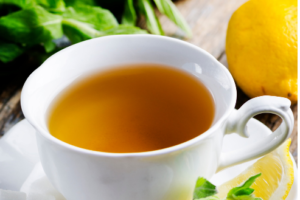 What are the best beverages for PCOS? Beverages are not included in the Guide. My favorite beverages for PCOS include water, seltzer, unsweetened almond milk (or any nut milk), tea – especially spearmint (may help lower androgens) and green tea (high in antioxidants), and coffee in moderation. If you drink alcohol, keep it to 1-2 drinks a week and avoid drinks with sweet mixers. What if I don’t want to follow them exactly? No worries! They can be followed exactly or just used as a guide. If you don’t want to cook every day, make extras for leftovers. Feel free to swap out other veggies, protein, or grains if you don’t like the ones I choose. Or just pick the recipes you like to add to your recipe file. Please don’t feel that meal plans need to followed exactly as that can create stress in itself! The goal of meal plans is to help take the stress out of meal planning … not to add to it. 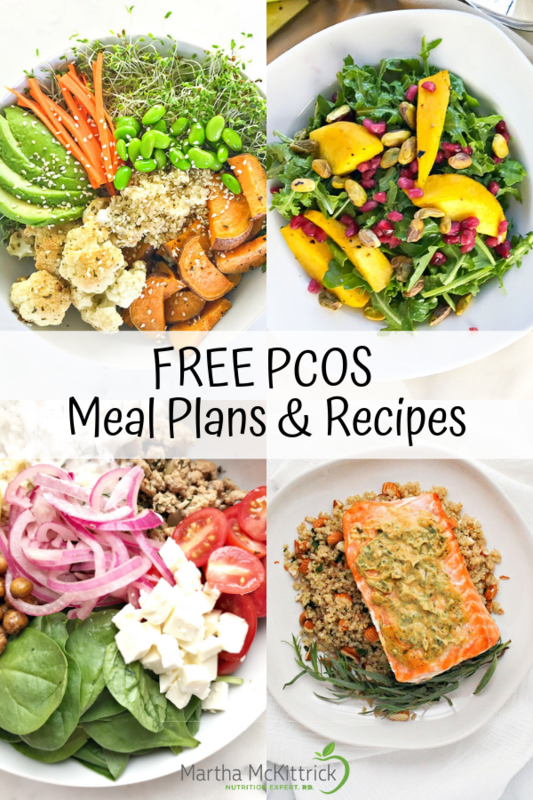 More FREE PCOS meal plans! I hope you find the meal plans helpful and enjoy the recipes. I’d like to invite you to sign up for a FREE 3 day trial of customizable PCOS meal plans and recipes here. No credit card needed. Your menu will include a planner with recipes for breakfast, lunch, snack and dinner as well as a grocery list to make shopping a snap. After the 3 day trial, you can continue with the customizable PCOS Meal Plans and Recipes service for a small fee of $19.95/month. 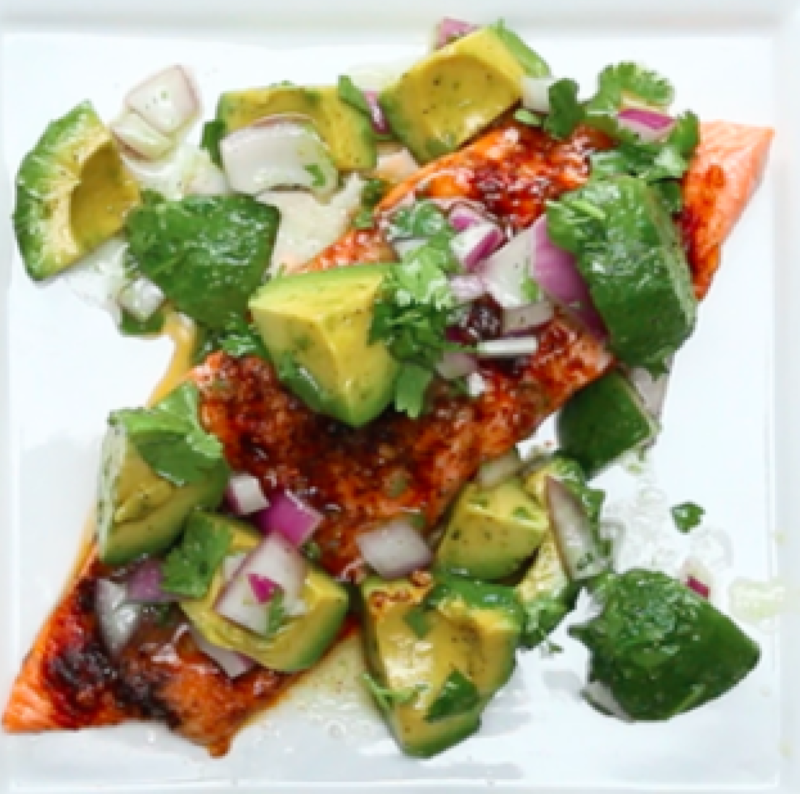 Each week you will receive a delicious weekly menu in your inbox, created by registered dietitians and chefs, to help you meet your health goals. 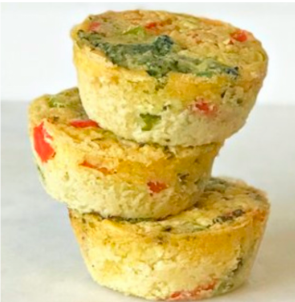 Each recipe is extensively tested and features whole food ingredients with easy-to-follow directions for people of all cooking levels. 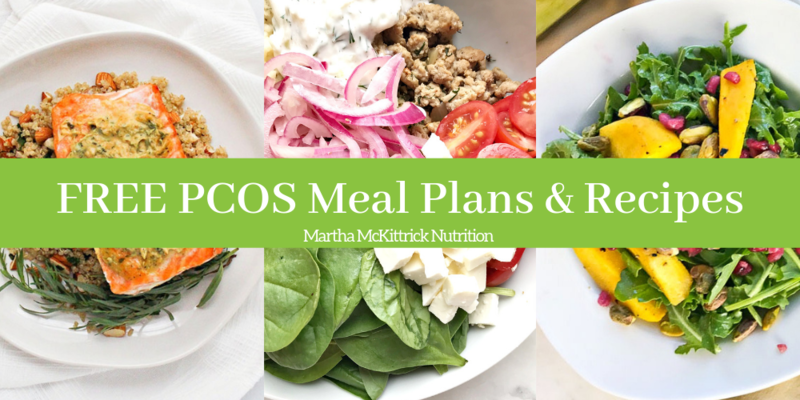 Keep in mind that these plans are customizable which meals you’ll be picking your own meals with your favorite foods using my PCOS meal planning guidelines. The customizable plans also allow flexibility in adjusting the macronutrient content (i.e. carbs, fat, protein) and calories. You will receive a meal plan template. You’ll then sort through the recipes, select the ones that appeal to you, and drag them into your template (you’ll get a video to watch to learn how). Meal plans and recipes are great, but nothing takes the place of individual coaching by a PCOS nutrition expert. 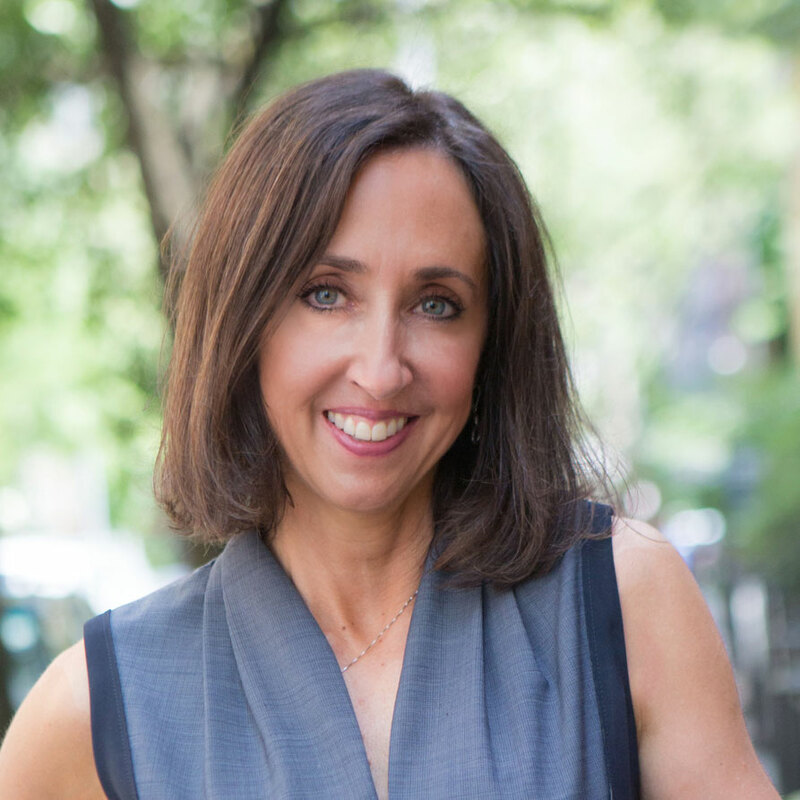 I’m a registered dietitian, certified diabetes educator and certified health and wellness coach who has been specializing in PCOS for over 15 years. My coaching sessions provide in-depth education on nutrition for PCOS and helps separate fact from fiction. You’ll receive a personalized plan for you based on your medical issues, lifestyle, and food prefs. We’ll discuss meal planning, eating out, carb carvings, exercise, supplements and more. You’ll get the individual attention and coaching you need to meet your goals. Contact me at 212 879-5167 or Martha@MarthaMcKittrickNutrition.com to learn more. 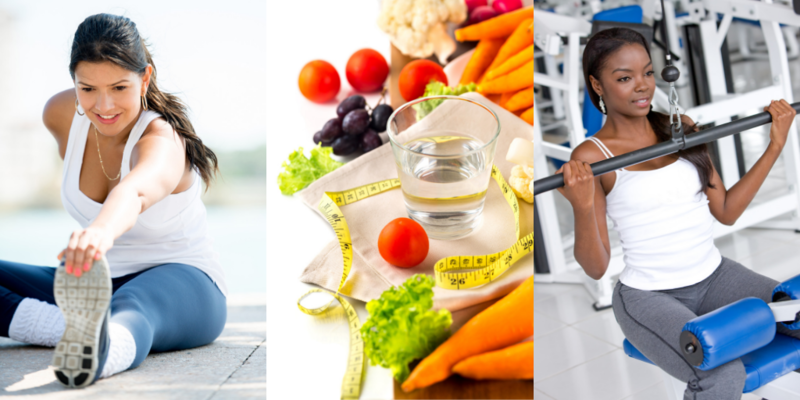 Want more info on Nutrition & Lifestyle for PCOS?